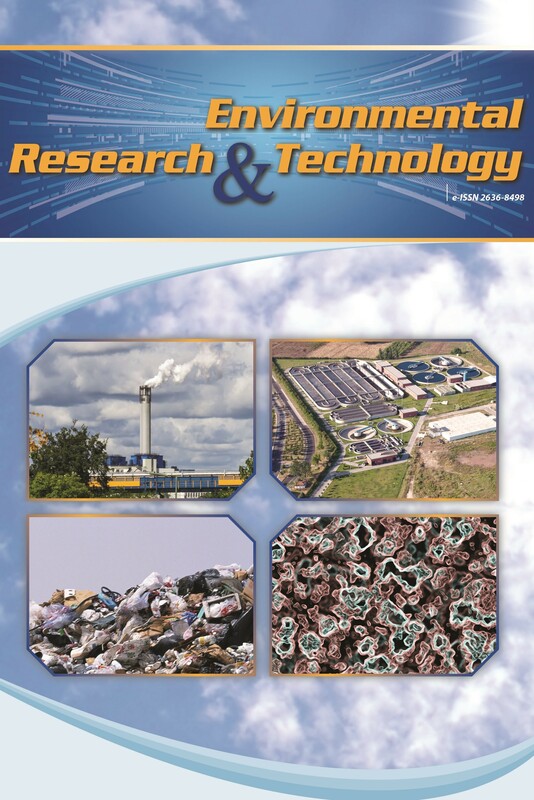 Environmental Research & Technology is a peer-reviewed, free of charge, International multidisciplinary Journal published by Environmental Engineering Department of Yildiz Technical University, Turkey. The Journal offers complete coverage of environmental issues with original contributions such as Research Articles, Short Communications, Review Papers, Book Reviews, Editorial Discussions, and Conference Papers. Suggestions for Special Issues are also welcomed. Water: Water management, water quality, water pollution and prevention, and water treatment. Wastewater: Wastewater management, municipal wastewater treatment, industrial wastewater treatment, wastewater reclamation and reuse. Solid Waste: Waste (solid, hazardous, industrial, agricultural etc.) management, waste prevention, recycling and reuse, sludge treatment and disposal. Air Pollution: Air quality management, indoor air quality, air pollution control, emission studies, and air pollution modeling.